Julian Castro is discovering that Latinx voters are a choosey lot. To be fair his error is not unique to him or his campaign. There is a widespread misunderstanding on the behaviors and desires of the no longer dormant Latinx electorate. Julian's Latinx mistake in previous election cycles may have been harmless but the current Democratic field has at least one candidate that understands how to engender Latinx support and has deftly implemented that knowledge to her advantage in the past - U.S. Senator Kamala Harris. Harris ran for U.S. Senate against a Latina candidate, Loretta Sanchez and bested the former Congresswoman among what should have been her base. The Sanchez campaign had fallen for an outdated belief that Latino outreach was not a priority for the campaign because eventually, Latino voters would "come home". Harris to her credit worked hard and early to secure the endorsements of respected Latinx local elected officials and community leaders. Harris bolstered her key endorsements with policy positions that they could tout and never took their support or their supporters for granted. Many have said was that the real reason for the Sanchez defeat was her constant gaffes. Sanchez's larger than life personality while refreshing for some, and interesting for all, did not play well on California's local news coverage. While the cost of Sanchez's approach did her harm it was her decision to ignore her base that weakened her ability to survive her own mistakes. The weakness in her base harmed her polls which failed to show the level of competitiveness that attracts donors and shields a candidate from the impact of bad press. 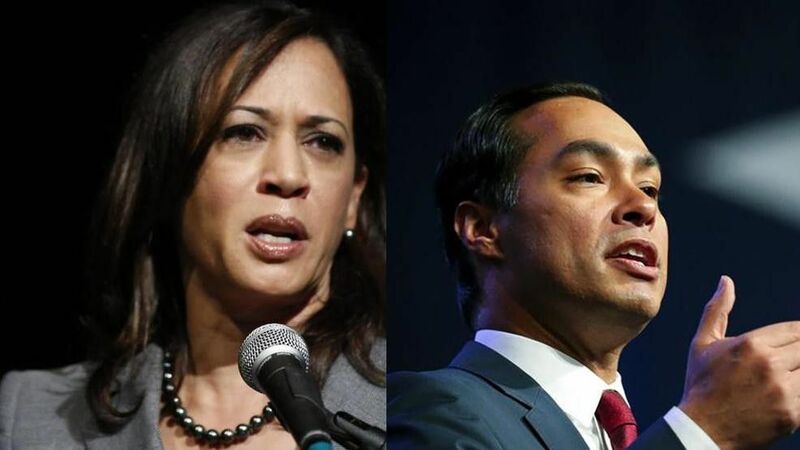 While Harris is off to a sputtering start she once again has secured a stable of local Latinx grassroots ambassadors that can make the critical difference in the very crowded Democratic field. Castro finds himself not the automatic choice of Latinx voters as many key endorsements have gone elsewhere and he has still to introduce himself in a meaningful way to Latinx leaders in the southwest. One has to wonder if Julian is under the mistaken advice that Latinx voters will eventually "come home". An advisor should tell him that Latinx voters are already at home and that he needs to knock at their doors. But should he finally go to the doors of his natural base Castro should not be surprised to find that his is not the first visit.